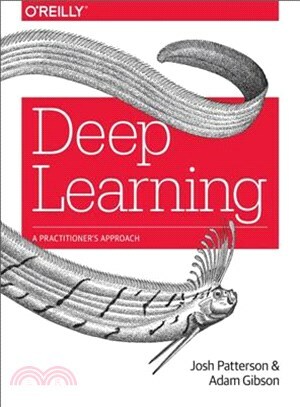 Looking for one central source where you can learn key findings on machine learning?Deep Learning: The Definitive Guide provides developers and data scientists with the most practical information available on the subject, including deep learning theory, best practices, and use cases. Authors Adam Gibson and Josh Patterson present the latest relevant papers and techniques in a non-academic manner, and implement the core mathematics in their DL4J library. If you work in the embedded, desktop, and big data/Hadoop spaces and really want to understand deep learning, this is your book. Adam Gibson is a deep--learning specialist based in San Francisco who works with Fortune 500 companies, hedge funds, PR firms and startup accelerators to create their machine--learning projects. Adam has a strong track record helping companies handle and interpret big real-time data. Adam has been a computer nerd since he was 13, and actively contributes to the open--source community through deeplearning4j.org. Josh Patterson currently runs a consultancy in the big data machine learning / deep learning space. Previously Josh worked as a Principal Solutions Architect at Cloudera and as a machine learning / distributed systems engineer at the Tennessee Valley Authority where he broughtHadoop into the smart grid with the openPDC project. Josh has a Masters in Computer Science from the University of Tennessee at Chattanooga where he did published research on mesh networks (tinyOS) and social insect optimization algorithms. Josh has over 17 years in software development and is very active in the open source space contributing to projects such as deeplearning4j, Apache Mahout, Metronome, IterativeReduce, openPDC, and JMotif.